On September 15, 2017, NASA's Cassini spacecraft plunged into Saturn's atmosphere and caught fire, completing its mission after 13 years in orbit. Two days earlier, Cassini used his wide-angle cameras and captured this beautiful final photo of the planet he studied for more than a decade. 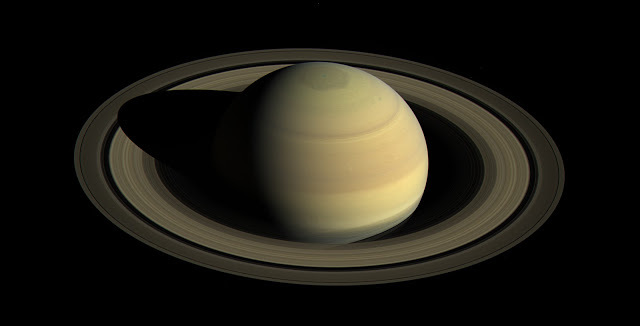 NASA wrote that Cassini spent two hours recording a total of 80 photos with its wide-angle Saturn lenses. 42 of these 80 photos, using red / green / blue spectra filters, were combined as a mosaic to create the final natural-color photo.